Fried pastries to celebrate Yom Kippur. A mere 40 days after God prohibited the Jews from engaging in idolatry, they made a colossal mistake and erected a golden calf. Moses, understanding the intensity of God's anger, pleaded with Him to forgive the people, and God relented. Yom Kippur -- the holiest day of the Jewish year -- commemorates the day God granted forgiveness and spared the Jewish people. It is a solemn but joyous holiday because Jews believe their fates for the coming year are sealed on that day. It is a mitzvah -- commandment -- to eat and drink heartily on erev Yom Kippur, the day before the holiday. Sitting down to a festive meal on erev Yom Kippur honors the holiday, expresses joy that the time of forgiveness has arrived and gives a Jew the physical strength he needs for Yom Kippur itself. 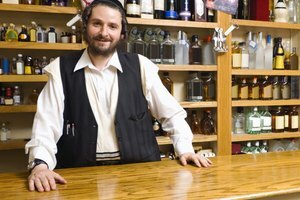 Other erev Yom Kippur customs include asking forgiveness from relatives, neighbors and friends; giving charity; immersion in a mikvah, or ritual bath; visiting the cemetery; blessing one's children; and reciting a special confessional prayer known as the viduy. Shortly before sunset, Jewish women light candles to formally usher in the holiday. 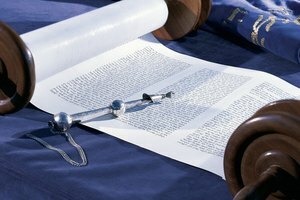 On Yom Kippur itself, Jews refrain from five specific activities, including eating and drinking; bathing; applying oils, lotions or creams to the skin; wearing leather shoes; and engaging in marital relations. 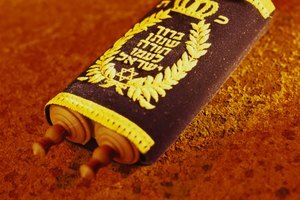 As Rabbi Shraga Simmons explains, Jews are supposed to be purely spiritual beings who have no physical needs on Yom Kippur. 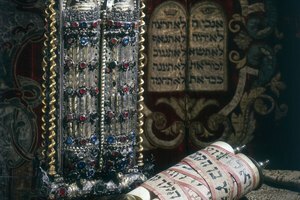 Refraining from the five prohibited activities lets a Jew distance himself from his physical self and focus on his spiritual essence. The focus on spirituality and purity, according to Simmons, explains the widespread custom of wearing white clothing on the holiday. Yom Kippur is a time for personal introspection. It is a day when God forgives individuals for their past mistakes, essentially wiping the slate clean. Rabbi Berel Wein calls Yom Kippur -- and the remarkable possibility of a fresh start -- a "magnificent gift." Like most gifts, writes Wein, the gift of Yom Kippur and complete forgiveness carries obligations. A Jew is meant to examine his personal relationships and his relationship with God, contemplate previous failures and identify character flaws. He considers how he has erred in the past and resolves not to repeat the same mistakes in the future. During the 10-day period that begins with Rosh Hashanah and culminates with Yom Kippur, God is particularly attentive and receptive to a Jew's tefillot, or prayers. For this reason, writes Rabbi Yissocher Frand, Jews should make a concerted effort to pray with concentration and sincerity. Orthodox Jews spend most of the day praying as a community in synagogue. The evening prayer service begins at night with the Kol Nidre. 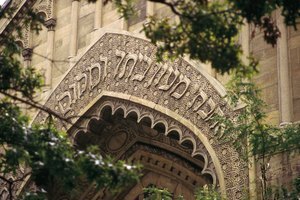 Daytime services include a detailed and graphic description of the Yom Kippur service performed in the Holy Temple; the reading of the Book of Jonah; and the Neilah service, when the gates of heaven metaphorically close. Because of the importance of the day, many non-Orthodox Jews -- including those who never or rarely attend synagogue during the year -- make a special effort to attend prayer services on Yom Kippur. 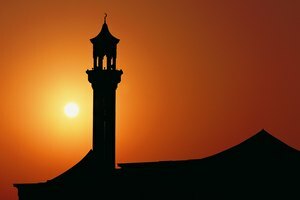 Chabad.org: How Is Yom Kippur Observed? Fisk, Judy. "How to Celebrate Yom Kippur." 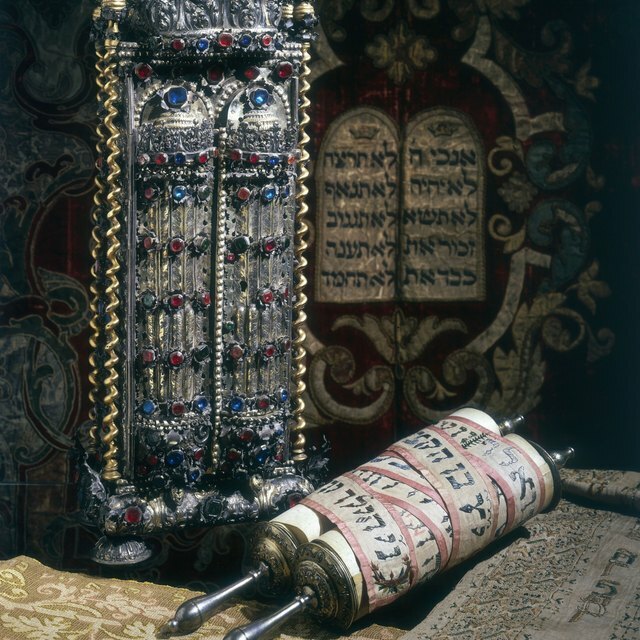 Synonym, https://classroom.synonym.com/how-to-celebrate-yom-kippur-12078399.html. 29 September 2017.